VDC Display Systems offers world-class projection displays and visualization solutions for any type of content â€“ from everyday business, education and training applications… to the latest frontiers of artistic expression… to scientific exploration via 3D/Advanced Visualization and Simulation… Find out what VDCDS can do for your Simulation Display Solutions. Other Simulation Display Solutions are available. Suitable for Multiple Markets/ Applications to include Command and Control (C2), Control Rooms, etc. 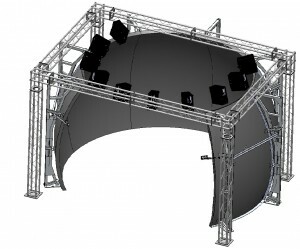 The MMD System displays a single, seamless image across a rigid screen system, utilizing a pair of feedback sensors and specialized software to calibrate the imaging system. 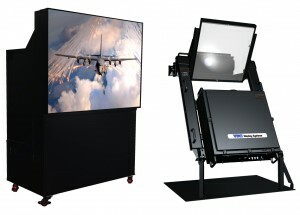 The VDCDS M2D System provides a state-of-the-art command and control and situational awareness display capability. 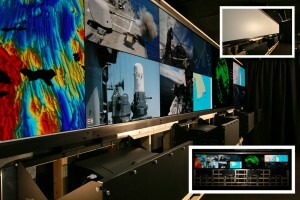 The M2D System can be installed in any environment; to include as a fully ruggedized option for foundation mounting aboard mobile platforms (e.g., naval vessels). 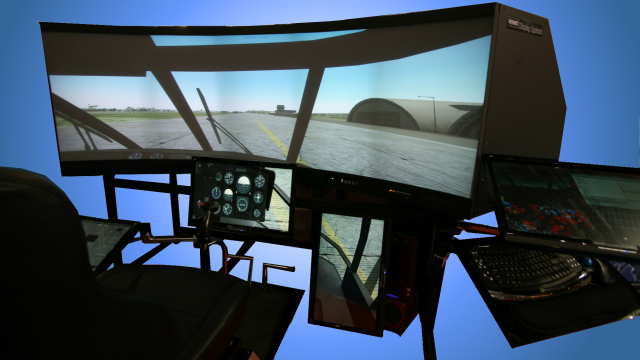 Each MSAT Display System provides correct perspective, color, resolution and luminescence requirements for displaying customer-provided day, dusk, night and simulated Night Vision Device (NVD) [i.e., Night Vision Goggles (NVGs)] visual scenes on Image Generators (IGs). 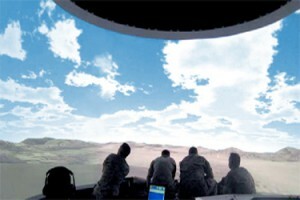 The SAVT simulates training scenarios that require the placement of tactical ordnance on trainee selected targets using Joint Service approved Close Air Support (JCAS) procedures and Surface Indirect Fires procedures (Naval Surface Fire Support (NSFS), Artillery and Mortar) to perform destruction, neutralization, suppression, illumination/ coordinated illumination, interdiction, and harassment fire missions.